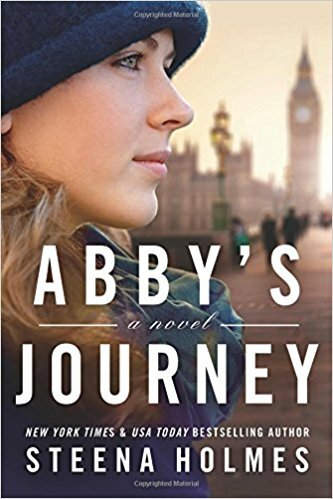 In the novel Abby's Journey by Steena Holmes, the author tells the story of Abby, a 20-year-old girl who has battled illness all of her life, suddenly healthy for a year. 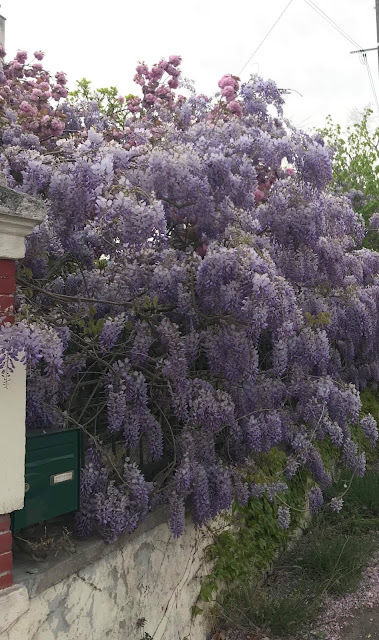 Her grandmother swoops in with a surprise trip to Europe, especially the Christmas markets in Germany that her mother always dreamed of visiting. Her father, who raised her alone after Abby's mother died in childbirth, resists allowing her to go, fearing for her health and for what his life might be without her at home. This story changes perspective so the story is told through Abby's eyes, through the grandmother, Millie's, viewpoint, and through the father's voice. Abby grabbed her hand to pull her close, and together they walked arm in arm, down the street. The roads were cobbled, and streetlights in the shape of stars were strung along the lanes, casting a soft glow onto the shops and people as they walked. The music, the setting, the large Christmas trees, the illuminated castle up on the hill -- it was all perfect. Everything she'd thought a Christmas market would be and should be. 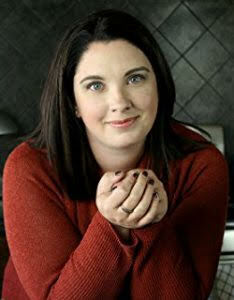 The characters were well developed with many side twists so that Abby's Journey was not the only complication going on. The support of family and of a charming Canadian village added to the overall positive feel of the book. What could have improved: The tension and drama in the book could have been intensified so that the reader got caught up more, wondering what would occur. I also had a hard time with the basic premise, which was carried out in the first book Saving Abby. In that book, Abby's mother became pregnant with her and realized she had a brain tumor. She refused treatment so that Abby could be born, thus leading to her own death and Abby growing up ill and without a mother. If it were my daughter, no chance that I would let her wait for treatment if she was pregnant. The life we have is more precious than the potential life, in my opinion, plus the sacrifices that the father had to make in order to raise his baby alone. So those controversies played in my mind while I read this novel. This is definitely a novel that I enjoyed reading, in spite of, or maybe because of, some of the controversies that went with it. The publisher has offered one free copy of this book to someone in the United States or Canada, so let me know if you're interested and I'll enter you in the giveaway. Make sure I can get in touch with you to get your address if you win. The imagery of the places they travel is sure to get me itching to travel again! Sounds like a good one. Enjoyed your review. I would absolutely love a copy. Just Me, Thanks. I'll let you know who the winner is! This sounds like a book I would definitely enjoy reading. I would love to win a copy! Noreen, Great. Thanks for commenting.I'll announce the winner soon. Thanks for leaving comments. 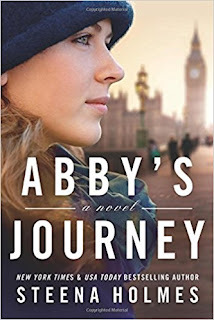 Just Me is the winner of the paperback Abby's Journey. Josh is a amazing man. He has given up everything to take care of Abby. Abby is truly special. She has spent most of her life in and out of the hospital. The characters in this book are all very special people who feel like family. You won't be able to stop reading this book.